If you're thinking of that horrible wallpaper from the 1970s, I understand why you'd be hesitant to welcome this trend with open arms. (What happened in the 70s should really stay in the 70s, but I digress). The main reasons vintage wallpaper makes us all cringe are 1) it was used as a main wall covering (like every wall in the house,) and not as a tasteful accent and 2) the patterns were often a conglomeration of less than ideal colors and small prints--busy and heavy on the eyes. 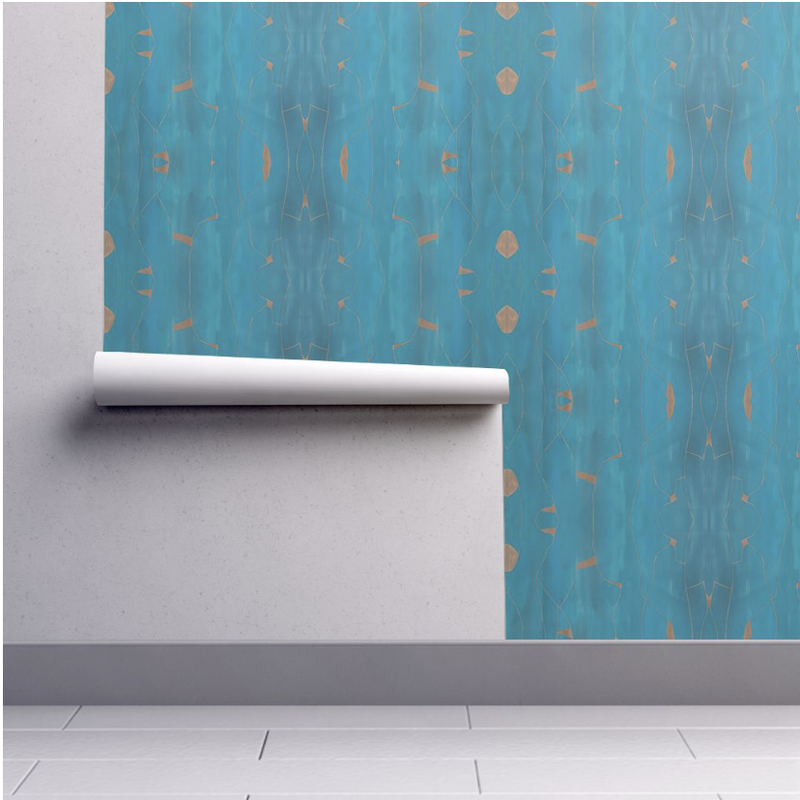 Modern wallpaper includes larger prints and more tasteful applications. I prefer to see an accent wall or a powder room with these floral or geometric patterns. Do select your wallpaper, new furniture, and new window treatments simultaneously. Don't try to mix too many patterns. Only if it’s not installed properly. A certified paperhanger will prepare your walls so that when the time comes to redecorate you can strip your walls with ease. Shelly Wilkins of Walls, Etc is my go-to installer and a master at her craft. Peel-and-stick wallpapers or murals are great if you’re a commitment-phobe, and the quality has improved dramatically in recent years. There are also papers on the market that have water-activated adhesive and are less aggressive than traditional pastes. Wallcoverings can be pricey, but if you choose one that has a timeless design you will love it for years. Also, quality matters. Investing in a beautiful paper won’t leave you with peeling corners and faded colors. I have a different perspective on this that will help: If you are going to use wallpaper only as an accent, the investment decreases significantly, as do the odds that you won't like your decision later. If you want to add depth and personality to your space, choose a beautiful and authentic wallpaper. Modern wallpaper bridges the gender gap with ease. Whether floral and woodsy or geometric and minimal, there is a pattern for everyone. If you aren't into patterns, grasscloth wallpaper is a fabulous covering that both you and the men in your life will appreciate. This textured, solid color wall covering is often found in high-end hotels and is known for its timeless elegance. As wallpaper shows no signs of fading out of fashion, will you join the movement or hold fast to your painted walls? Check out our line of wallcoverings, “LS home”, in our shop or in person at the Maryland Design Center if you are a design professional. They are created from our own artwork and can be customized in scaling the pattern. Wallpaper isn’t for everyone. The example below shows how one of our designers asked us to create a modern style chinoiserie based on the wallcovering that her client liked. The colorway was wrong and she didn’t care for the repeat. We took elements of the design and made the design more mural-like. We even added little nests in the branches with eggs and wrote the children’s names next to them! So if you either can’t find that perfect pattern or you just don’t want to have to worry about removing it later, then ask us about creating a custom wall finish for your space. We can tailor our finishes to your colorway and pattern.